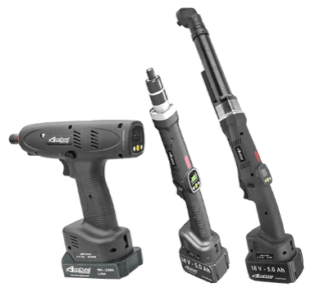 AIMCO's Controlled DC Fastening Tools provide torque verification, data collection, and high-quality, productivity enhancing solutions. AIMCO’s AcraDyne DC nutrunners are the perfect solution controlled fastening applications. A compact and durable tool which fits into the tightest of spaces and delivers a highly accurate fastening cycle. Lightweight materials and a uniform body diameter provide a comfortable grip and an ergonomically placed start lever allows for simple control. 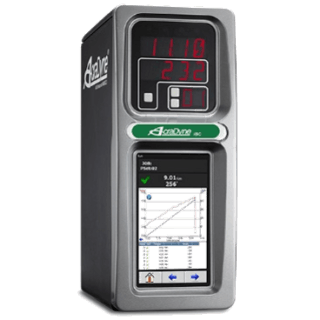 The AcraDyne Gen IV ACE controller is the culmination of more than 40 years of serving our industrial fastening customers with 15 years of designing and manufacturing DC tools that are Made in the USA. It is filled with countless advanced capabilities and features. The Gen IV ACE Controller is the core of the modular AcraDyne DC system. One controller will command any transducerized tool in the AcraDyne line from 0.5 Nm to 12,000 Nm, all with one cable. The AIMCO AcraDyne Series Cordless Tools provide unmatched accuracy. 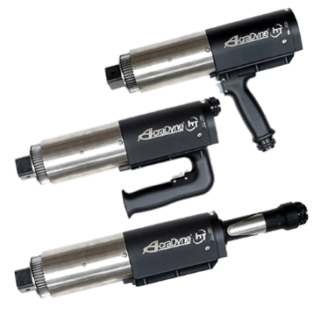 The Pistol Tool comes with a torque range of 1.5–14 Nm, the Angle Tool has a torque range of 1.5–120 Nm and the Straight Tool has a torque range of 1.5–14 Nm. Some of the other features included are transducerized for precise delivery of torque and angle to the fastener, self-contained on-board control, load tool programming software through USB cable interface, vibration alarm handle for tactile feedback, programmable – Torque, Angle, RPM, Time, Fastening direction with six step multi-stage job functionality, and up to 150,000 results can be stored on-board. 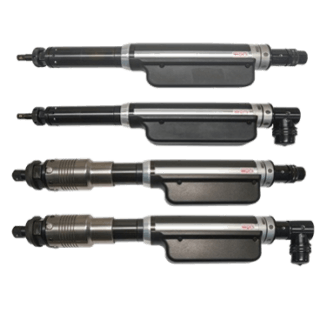 Critical bolting demands tools that will deliver high torque with superior performance. The HT Series from AcraDyne combines these features in an electric, high-torque bolting tool that beats the competition in accuracy, speed and safety. When combined with AcraDyne’s controller, customers have a high-torque critical bolting system that can handle the toughest and most important bolting jobs. The HT series has a torque range of 50 Nm – 20,000 Nm with over 300 models to choose from.